Tuscany Falls is one of two golf courses within the upscale residential community PebbleCreek. It is a 27-hole layout and the other is the 18-hole Eagle's Nest Course. Tuscany Falls is divided into three nines known as the Lakes, Falls, and Palms. The Lakes is considered the most challenging of the three. 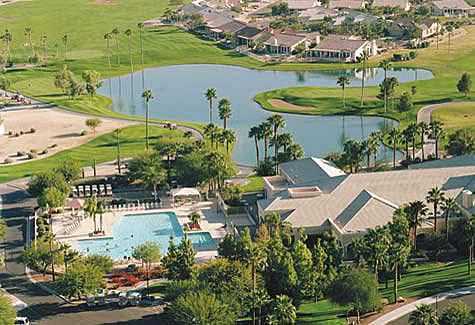 Tuscany Falls is one of two golf courses within the upscale residential community PebbleCreek. It is a 27-hole layout and the other is the 18-hole Eagle's Nest Course. Tuscany Falls is divided into three nines known as the Lakes, Falls, and Palms. The Lakes is considered the most challenging of the three. 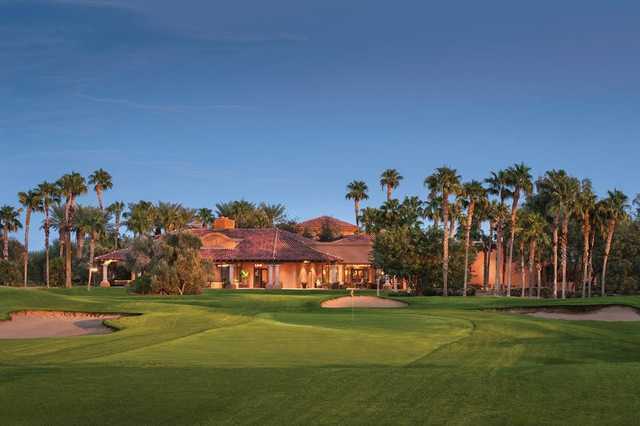 If you play the Eagle's Nest Course, you'll know there are several carries over expansive desert areas, you can still expect carries on the Lakes nine, but they will be over water hazards. Also like it's sister course, the challenge from these hazards is absent from the two forward tees, making the golf course accessible to beginners. There is dramatic mounding along the medium-sized greens, though they are generally open in front, and the rolling fairways have subtle but tricky contours.